Fredrik Vold is a regular contributor to Cryptonews.com, covering cryptocurrency and blockchain related news on a daily basis. His area of expertise is the cryptocurrency markets, and his portfolio includes cryptocurrency and blockchain related analysis pieces. He's also a trader, financial writer, and technical analysis enthusiast, who closely follows not only cryptocurrencies, but also the stock and forex markets. 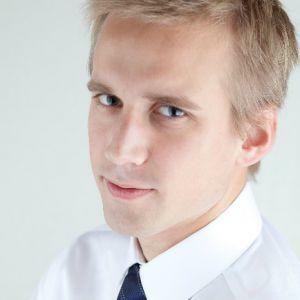 Fredrik is the founder of LUVO Content Marketing, a finance-focused online marketing agency. IBM Crypto Head Sees Bitcoin at USD 1 Million "Someday"
Elon Musk Praises Bitcoin, Says "Paper Money is Going Away"
12 Days of…Nothing - What’s Happening to the Market? Bitcoin Transactions Are Down: Should Investors Worry?